Biggin Hill is in the south east of London, lying in the borough of Bromley but near to the Kent and Surrey borders. 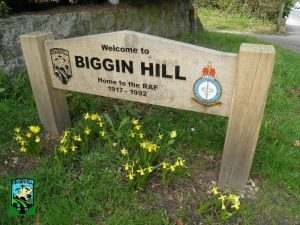 The area is arguably the most famous for Biggin Hill Airport, a place that played a pivotal role in the Battle of Britain. Set amongst a myriad of small villages, the only direct road access is via the A233. The nearest train station can be found in Hayes, Kent which is approximately 5 miles away. 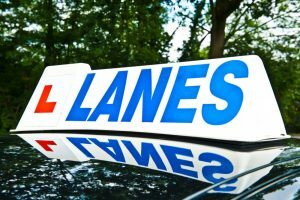 Lanes School of Driving has a long and established history of teaching local residents to drive, starting back in 1914. The modest beginnings of this driving school soon blossomed and today it’s one of the biggest independent schools in the whole of the UK. This long history has provided valuable experience that can’t be bought, allowing Lanes to excel and really stand out from the crowd. We are proud of our commitment to excellence and believe that each of our students should be treated like an individual. This means that everyone who learns with us will have the benefit of a personalised lesson plan, devised to meet their specific needs. 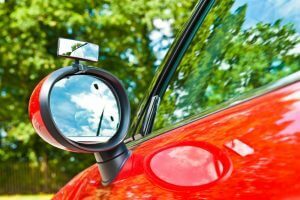 Lanes understand that even if you’re keen to learn to drive, it can be awkward to fit lessons around your daily routine. We will go out of our way to make things as easy as possible, offering convenient appointments that accommodate your prior commitments. We will also collect and drop you off from your home address; there’s no need for you to travel anywhere. Every car has the benefit of cutting edge technology plus you will have a private lesson with your instructor. Unlike some other schools, there will never be the distraction of other students when you are having your lesson. Here at Lanes we believe that experience is vital and our instructors have many decades of tuition under their belt. Many of the instructors began their initial training with us, and each and every one holds the highest standard of qualification, the DSA Approved Driving Instructor. When you learn to drive with Lanes, you will be allocated a driving instructor who will be with you each and every lesson. We believe that consistency and continuity is key to helping you build trust and confidence. This also allows the instructor to create and adapt a lesson plan which takes into account your pace of learning and any specific needs. Here at Lanes we understand that learning to drive can be a daunting thought, particularly if you’re low on confidence. Trying to acquire new skills in front of a stranger can be off-putting and make you feel ill at ease. All of our instructors are trained to help relax their students, and will let you proceed at a pace that’s right for you. However, if any of our female students would feel more comfortable with a female driving instructor we would be delighted to help. Many of our students here at Lanes prefer automatic cars even though drivers who are fans of manual vehicles claim gears provide better control. With an automatic, there’s less to learn and no risk of stalling the engine. This can make it much less daunting to learn and speed up the rate of progression.